It is officially my favorite season of the year, and I couldn't be more excited. Not only because of Starbuck's pumpkin spice latte, but because it's time for Autumn at the Arboretum! 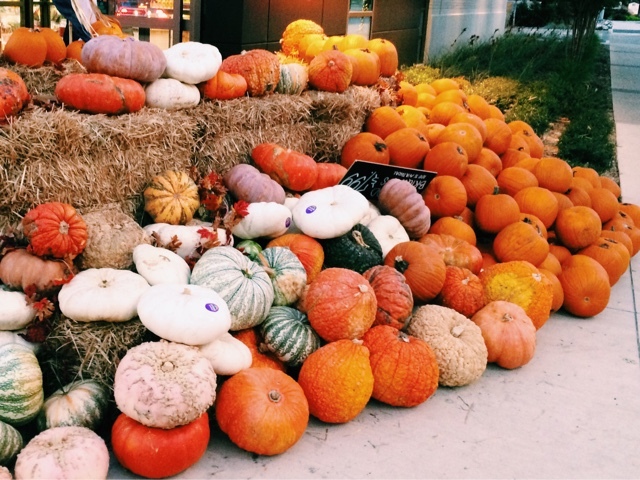 Every year, the Dallas Arboretum builds their Pumpkin Village of more than 75,000 pumpkins, gourds, and squash. I was able to witness this nationally acclaimed attraction last year, and it was well worth the hype. Tom Thumb offers $1 off general garden admission tickets during Autumn at the Arboretum. Discounted tickets will be available to purchase at area Tom Thumb locations when the festival begins. Buy one, get one free admission. Valid for general garden admission only. Limit one per customer. Tickets can only be purchased onsite. General admission tickets on these Thursdays are $11 for those 65 and older along with a 20% discount that day at the Hoffman Family Gift Store. Tickets can only be purchased onsite. Presented by C.C. Young, these days feature special activities for the senior community. Present an admission ticket stub from the 2015 State Fair of Texas and receive $2 off admission, Mondays through Thursdays. Wear Texas or OU gear and receive $5 off general admission. Fun for the whole family, adults dressed in costumes pay children’s admission prices. Each can of food brought in is $1 off general admission, up to $5 off. All food will be donated to the North Texas Food Bank. Any veterans, active duty and first responders with identification receive free admission on Veterans Day. Offer available only on site at the ticket booth. Click here to visit the Dallas Arboretum's website and purchase tickets.